Where to start? Writing a trombone history paper and want to know where to begin? Below is a condensed bibliography listing some good introductory sources. The first category contains books on trombone (or brass in general), while the second contains a sampling of sources that are not trombone-specific, but are nonetheless rich in material about the history of the trombone. Baines, Anthony. Brass Instruments: Their History and Development. New York: Dover Publications, 1993. An old classic, originally published in 1976, that still features a good deal of useful information on all the brass instruments, including trombone. Baines, Anthony. “Trombone,” in New Grove Dictionary of Music and Musicians, 2nd ed. London: Macmillan, 2001. Encyclopedia article, written by Anthony Baines and revised by Myers and Herbert, containing a fairly large amount of useful information about the history of the trombone. Traditionally a common launching point for research on the trombone. Carter, Stewart, ed. 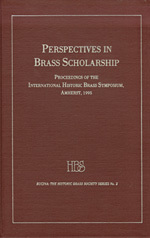 Perspectives in Brass Scholarship: Proceedings of the International Historic Brass Symposium, 1995. Stuyvesant, NY: Pendragon Press, 1998. A compilation of specialized, well-documented articles dealing with historical issues. Trombone-rich articles include “The Invention of the Slide Principle and the Earliest Trombone” (Polk), “Cornets & Sagbuts: Some Thoughts on the Early Seventeenth-Century English Repertory for Brass” (Duffin), “Georges Kastner on Brass Instruments” (Carter), “The Reconstruction of Nineteenth-Century Band Repertoire” (Herbert), “Trumpets, Cornets, Trombones, and Horns in the St. Petersburg Museum of Musical Instruments” (Koshelev), and others. Dietrich, Kurt. Jazz ‘Bones: The World of Jazz Trombone. Rottenberg: Advance Music, 2005. Thoroughly-researched history of jazz trombone, the best of its kind. Appropriately emphasizes major figures, while also including significant detail about lesser-known subjects, such as trombonists in early jazz history. Well-documented book that includes extensive quotations from primary sources, including several translations not easily found elsewhere. Herbert, Trevor and John Wallace, eds. The Cambridge Companion to Brass Instruments. Cambridge: Cambridge University Press, 1997. Like Perspectives in Brass Scholarship (above), this book consists of a number of specialized, thoroughly-referenced articles compiled into a single volume, although this volume includes more material about the recent history of brass instruments. Trombone-rich articles include “‘Sackbut’: the early trombone” (Herbert), “The low brass” (Bevan), “Brass in the modern orchestra” (Wills), “Brass solo and chamber music from 1800” (Wallace), “Frontiers or byways? Brass instruments in avant-garde music” (Wills), and others. Herbert, Trevor. The Trombone. New Haven: Yale University Press, 2006. Excellent comprehensive study of the trombone. Only a few years old, it is already considered the instrument’s definitive history. 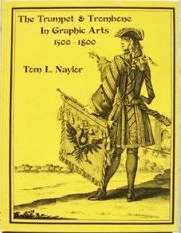 Naylor, Tom L. The Trumpet & Trombone in Graphic Arts, 1500-1800. Nashville, TN: Brass Press, 1979. The best single-volume source for trombone iconography (the way the instrument has been portrayed visually throughout history). It should be noted that the images, although there are many, are limited to black and white prints and drawings. Paintings, sculptures, and other visual art are not included, leaving out some of our instrument’s most useful (not to mention beautiful) iconography; see, for example, paintings in the early 17th century. Bowles, Edmund A. 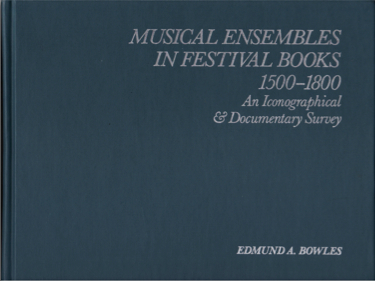 Musical Ensembles in Festival Books, 1500-1800: An Iconographical and Documentary Survey. Rochester, NY: University of Rochester Press, 1989. An in-depth study of festival books, records of important celebrations kept by rulers of state and other people of influence. Includes extensive mention and visual representation of trombones, particularly in the first half of the book. Oversized volume usually found in the “quarto” section of the stacks. D’Accone, Frank A. 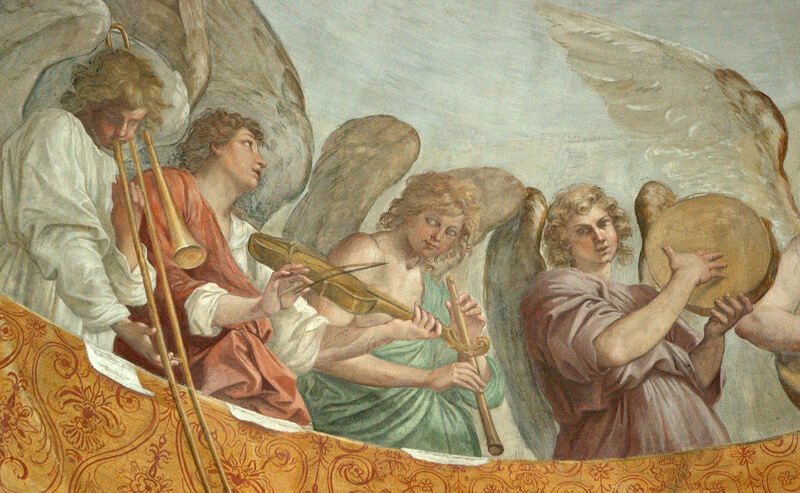 The Civic Muse: Music and Musicians in Siena during the Middle Ages and the Renaissance. Chicago: University of Chicago Press, 1997. As the subtitle of the book indicates, this is a history of music in Siena, Italy, during the Middle Ages and Renaissance. Written by a leading musicologist, the book features large spans in which trombone is mentioned on virtually every page, brimming with interesting details about the activities of Italian trombonists during the late Medieval and Renaissance eras. Excellent translation of Berlioz’s landmark orchestration treatise with extensive commentary by a prominent Berlioz scholar. Trombone is discussed in several contexts. A great source for information about the Romantic-era trombone in France. Polk, Keith. German Instrumental Music of the Late Middle Ages. Cambridge, 1992. 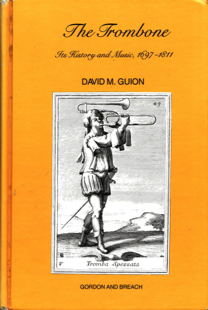 A well-researched book that includes significant information about the early history of the trombone, documenting, among other things, the fact that much of the earliest history of the trombone took place in Germany. Wonderful website, but you already know that. Under your “Jazz Trombonists” heading: http://kimballtrombone.com/2008/08/25/recommended-jazz-trombonists/, please add Jack Teagarden and Tommy Dorsey. I personally think Jack Jenney’s stardust solos in his own band and with Artie Shaw earn him a place on your list. I didn’t see it: Do you have Arthur Prior on your trombonists’ list? While not a Jazz performer, he often improvised solos. He certainly influenced younger trombonists, as they began to develop new jazz styles during the 1920s. Also, can you find a couple of Bass Trombonists — I think George Roberts should have a place, because everybody has heard him play.